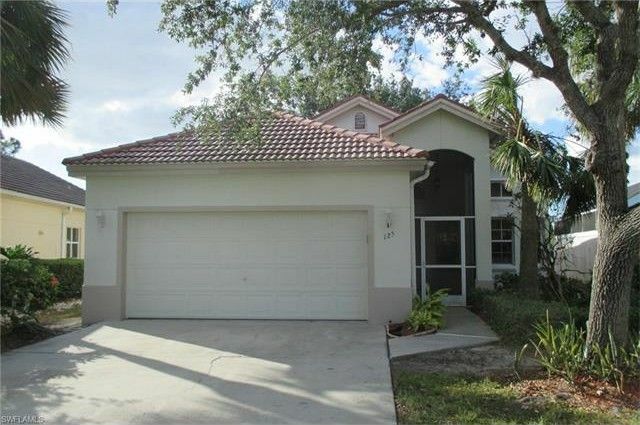 This 2 Bedroom + Den with Closet, 2 Bath Sabal Lake Single Family Home Features Fresh Interior Paint, New Carpeting, Updated Stainless Kitchen Appliances, 2 Car Garage and Spacious Over Sized Lanai. Walk across the street to the Community Pool with Clubhouse and Tennis Courts while enjoying the Low Association Fees. Sabal Lake is conveniently located close to Shopping, Restaurants, Naples Beaches and I-75.